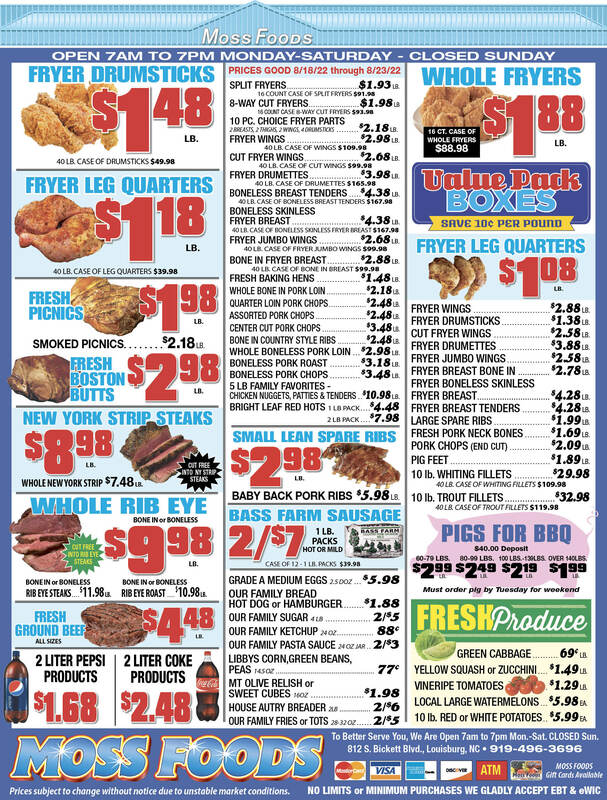 Showing 41 articles from September 10, 2014. FRANKLINTON — County officials guaranteed that all Franklinton residents would see reduced water rates and pledged long-term efforts to bolster the town’s water system if it buys the utility. The county’s commitment appeared to assuage fears and ally concerns that both commissioners and residents may have had after town commissioners agreed last month to begin the process of selling its utility to Franklin County. LOUISBURG — Novant Health staff announced the company will be closing three Franklin County primary care practices, citing a lack of patients as the reason. Novant Health spokesperson Kathryn Knight said employees at Novant Health’s Franklin Family Medicine, Catalyst Family & Sports Medicine, and its Franklinton Medical Practice were notified on Sept. 5 that those operations would be closing in October. If you’ve spent some time around tractors and look at this picture, something will seem “off” somehow. It’s not your eyes, and it’s not a Photoshop trick. 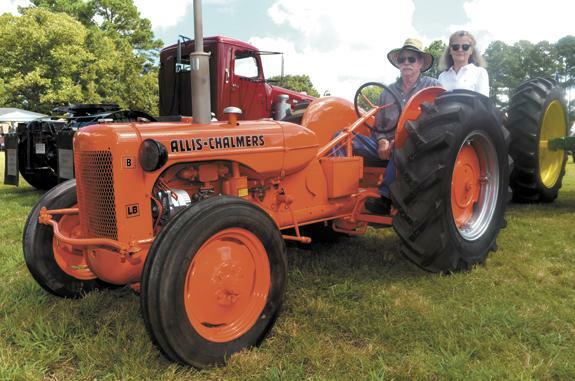 Local tractor aficionado and master vehicle restorer Abe Kemp decided the world needed a “low rider” tractor — and that’s what makes this vintage 1950 Allis-Chalmers sit so close to the ground. Abe and wife, Janie, are shown here with the unusual vehicle they displayed at last weekend’s Justice Tractor Show. LOUISBURG — The Franklin County Firefighters Association is hosting a ceremony to recognize those who lost their lives during the September 2001 terrorist attacks. While it’s been 13 years since the deadly attack, event organizer Johnny Hight said it should never be forgotten. 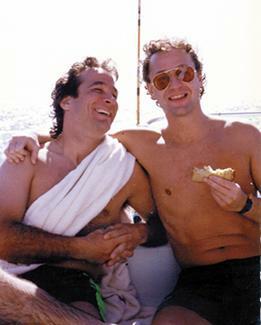 How does a friendship forged nearly 30 years ago in Texas have an impact on women’s health care right here in Franklin County? In more ways than you might imagine! Years ago, Dr. Robert L. McLaurin, who now owns and operates Franklin County Cancer Center, met a next-door neighbor in Houston, a young construction worker named Clint Black. 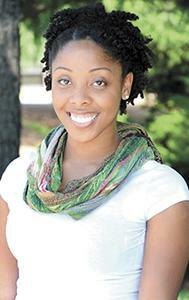 BUNN — A Bunn High alumna is taking her talents to South Beach. After a short stop in Miami on Wednesday, Jasmine Brodie will then depart to Paraguay, where she will spend two years on a Peace Corps trip. Franklin Times guest columnist Steve Trubilla said last week that the concept of spending less and taxing more is an idea that makes no sense. 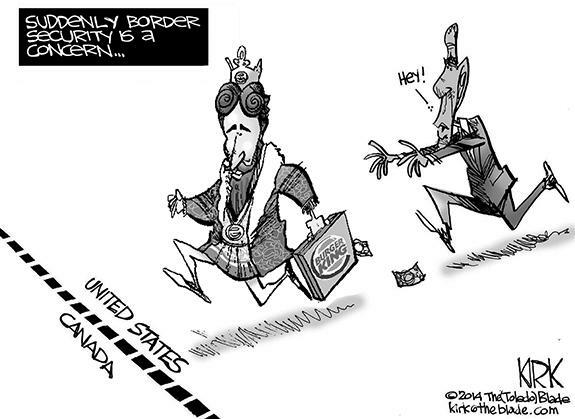 Frankly, I think it’s the only way we’ll ever dig our way out of the mess that our politicians have dug for us since at least the end of the Bill Clinton era, the last time the budget was balanced, albeit briefly. Meetings by telephone? Let’s hope only rarely! The Franklin County Board of Education took the first, tentative steps Monday night to ensuring full public access to its actions — in spite of a state law that would have had precisely the opposite effect. The school board agreed, in the words of member Paige Sayles, to “wordsmith” a proposed policy on board meeting news coverage — and depending on how that final version turns out — that could be a very good thing for voters and parents alike. For the longest time, the National Football League was branded by images of hard hits. A league that used to allow slaps to the head and clothesline tackles used to make insane amounts of money by producing and selling videos and DVDs of some of the hardest tackles in a given season. However, in light of health concerns over concussions, the league discontinued such videos and has taken efforts to reduce the emphasis it places on such devastating take downs. State Sen. Chad Barefoot has featured prominently in many of my recent articles. Some say I have been harsh on him; I have just pointed out his record and let the reader judge whose interests he is representing. However, he did successfully sponsor a bill that served the interests of Franklin County this spring. It was S815, the Ensuring Privacy of Student Records Act. Remember: Stupid is as stupid does! Are you registered to vote, is a question I have been asking people. Of course I understand people get busy, but to not even know if you are registered to vote suggests people simply do not value the right, or the sacrifice so many have made to provide it. On July 4, 2014, I had an emergency and was taken to Novant Health Franklin Medical Center. I have complained to the facility and believe the citizens of Franklin County need to know how you will be treated at this facility. We arrived at this facility at the same time as another woman. The lady was checked in first and then I was checked in. Both of us were bleeding. The lady had a nose bleed, and I had a much more serious bleeding. If you were one of those people who thought that the government taking over the medical care business was our worst fear, think again. In plain sight, the conglomerate medical industry has taken over that role, and they are in an even better position to take away your best interests when it comes to personal medical care than is the government. If you thought the Affordable Care Act would dictate to you the kind of medical care you would get, you have greater fears to address from medical systems like Novant. KAPOW. 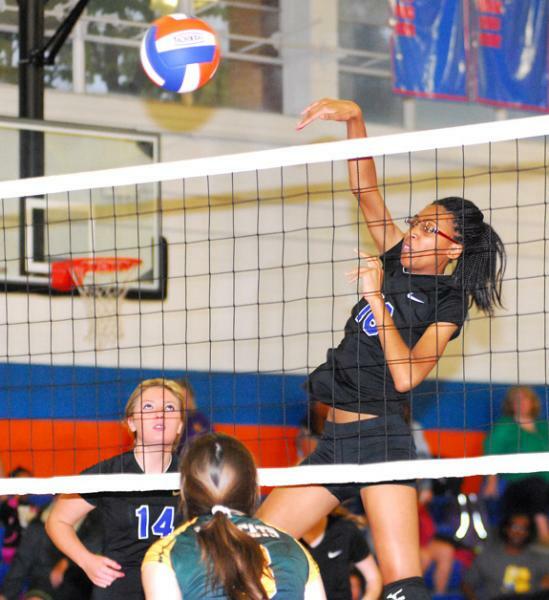 Louisburg’s Vanisha Wilshire (right) goes up for a kill during Monday evening’s home volleyball match against rival Bunn High School. LOUISBURG - Bunn and Louisburg have gained national acclaim for their prep football rivalry over the past year. 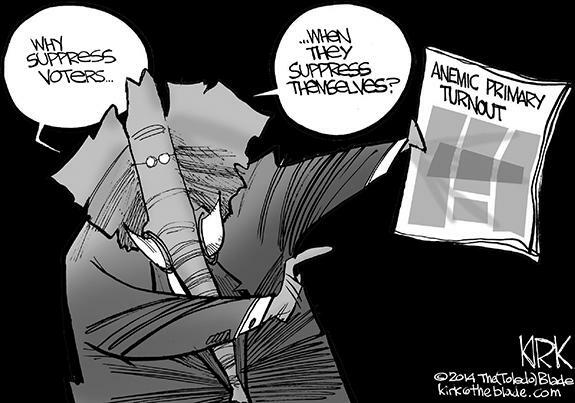 But that’s just the beginning of the grudge-match scale for the long-time foes. 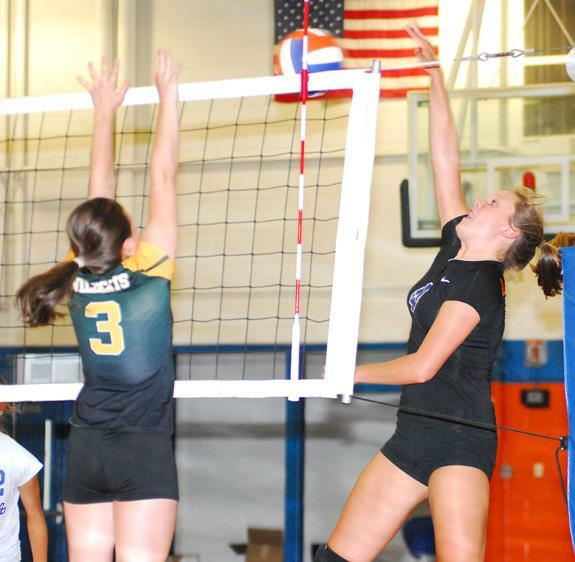 Several other sports feature high-intensity drama -- and volleyball might just be at the top of that list. 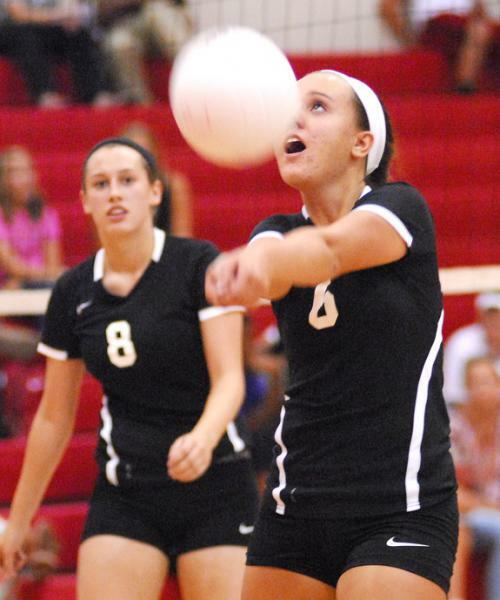 LHS and Bunn renewed their spike series on Monday, with the Lady Warriors looking to end a seven-year victory drought in a front of a boisterous crowd at the LHS Gymnasium. AVERY ESCAPES. Franklinton High School quarterback Avery Wilson gets out of the pocket and picks up yardage during last Friday night’s home triumph against the Northern Vance Vikings. 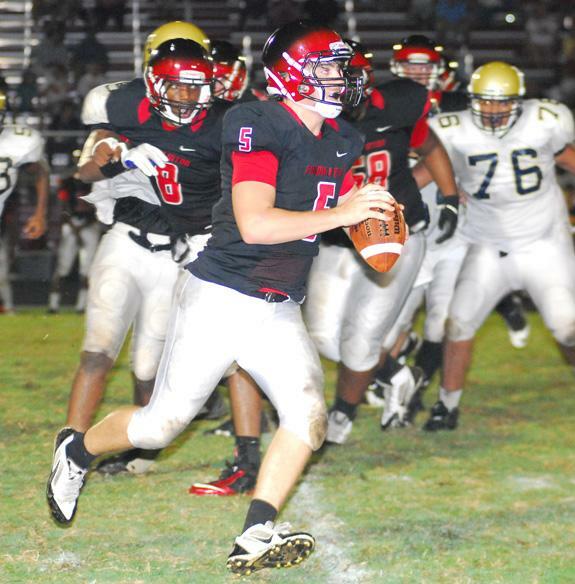 The fun, however, was just beginning for the Red Rams, who continued their early-season offensive success with a 34-13 home victory last Friday against the Northern Vance Vikings. ASHTON IS ON HIS WAY. Bunn’s Ashton Avery (second from left) takes a handoff en route to scoring a long touchdown for his club during last Friday night’s home gridiron victory against the Southern Nash Firebirds. 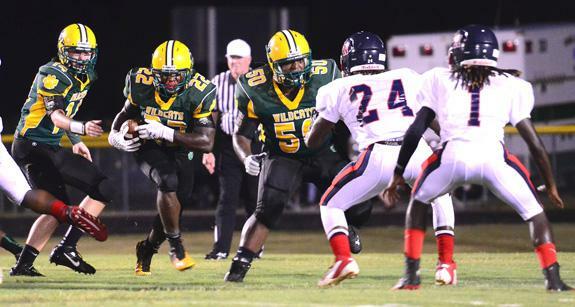 BUNN -- Southern Nash and Bunn have engaged in their share of monumental football thrillers through the years. In what was expected to be a between-the-tackles grudge match, Bunn used several big plays to put together a substantial lead -- only to see the Firebirds return the favor with a late flurry last Friday night. BROOKE WITH THE BUMP. Franklinton’s Brooke Davis sends a ball to a teammate during last Wednesday’s home decision over Louisburg. FRANKLINTON -- The Freddie Edwards Era ended 17 seasons ago at Louisburg High School, but his volleyball imprint remains in Franklin County -- and probably will continue to do so for a long time. When Franklinton and Louisburg lined up against each other last Wednesday in a non-conference spike match, Edwards was in attendance to watch three of his former players work as coaches. Bunn at Louisburg 7:30 p.m.
HICKORY -- After dropping their first two matches of the season, the Louisburg College women’s volleyball squad has been on a roll under new coach Caitlin Withers. 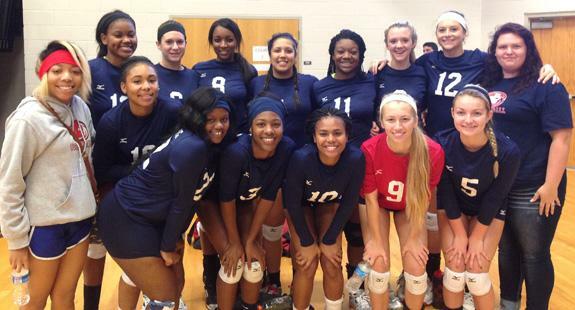 LC won four of five matches last weekend during a Region X showcase at Catawba Valley Junior College. 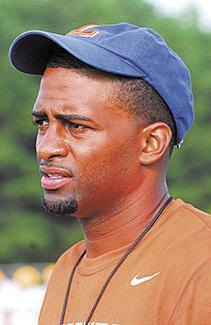 “(The Lady Hurricanes) played incredibly hard all weekend,’’ Withers said. LOUISBURG -- Louisburg High School, coached by Johnathan Waugh, came through with a 6-3 team victory on Tuesday against the Kerr-Vance Academy JVs in girls tennis action. Louisburg will return to the court today for its second match of the season against backyard rival Bunn. ROCKY MOUNT -- The Louisburg High School Warriors used a methodical approach toward gaining a football victory against the Rocky Mount Prep Jags last Friday at the Rocky Mount Athletic Complex. LHS will carry a 2-1 overall mark into a bye week. 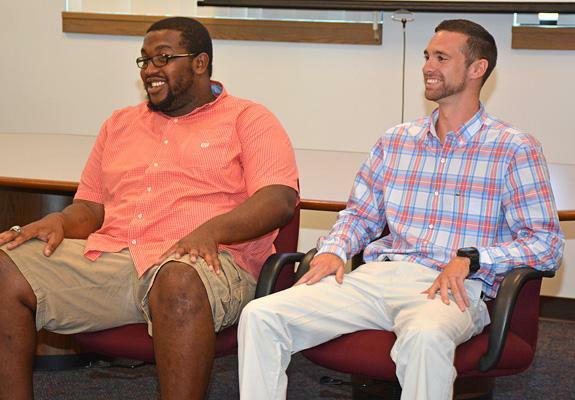 HENDERSON -- Vance-Granville Community College recently held a two-day series of workshops for student-athletes, just before the beginning of the fall semester. Called “Jump Start,” the primary focus of the program was on helping each student succeed in academics and in their future careers. BUNN -- Franklinton Middle School took home the top prize from the 2014 Bunn Football Frenzy, which was held last Saturday at Bunn Middle School. Six clubs participated in the preseason event -- Bunn, Franklinton, Terrell Lane, Hawley, Eaton-Johnson and Neal Middle from Durham. 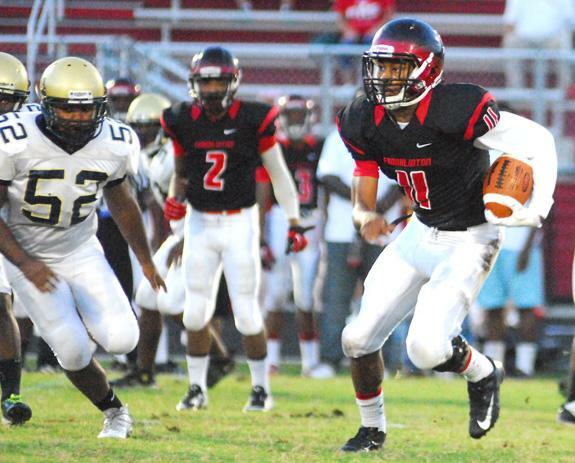 Franklinton’s Rondez Taylor (right) picks up yardage last Friday against Northern Vance. 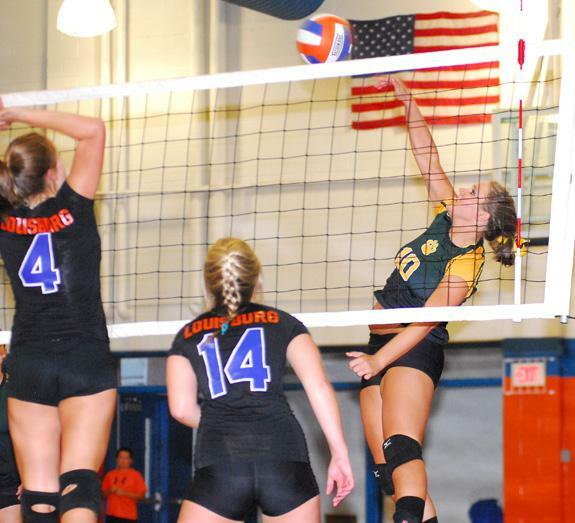 Bunn’s Paige Timberlake (right) goes up for a kill during Monday’s road spike win at Louisburg. 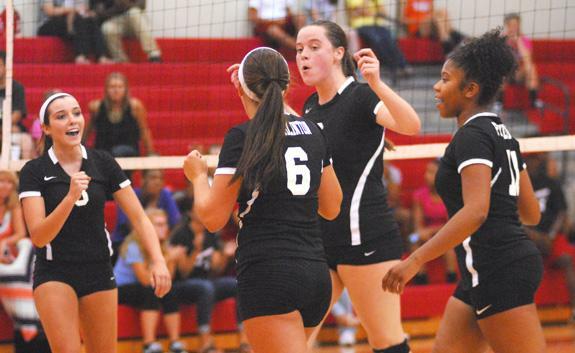 Members of the Franklinton High School volleyball squad celebrate after winning a point last Wednesday during the Lady Rams’ home triumph over Louisburg. Louisburg’s Whitney Bolton elevates for a blast during Monday’s home rivalry volleyball matchup against the Bunn Ladycats. Caroline and Chad Carter of Raleigh are proud to announce the birth of triplets, Charles Walker, William Samuel and Cameron Elizabeth Carter, born March 4, 2014 at UNC Hospital in Chapel Hill. 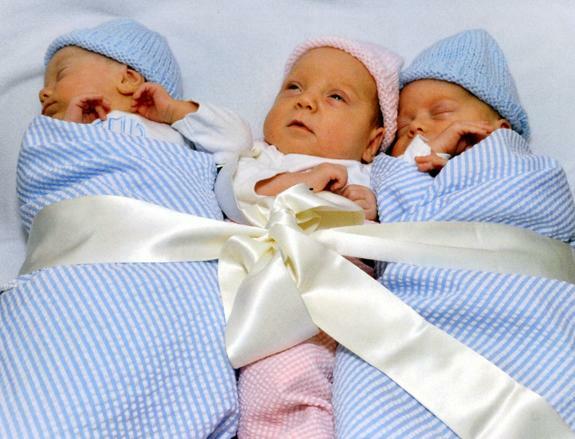 Charles Walker weighed 2 pounds, 2 ounces; William Samuel, 2 pounds 4 ounces; and Cameron Elizabeth, 2 pounds, 5 ounces. 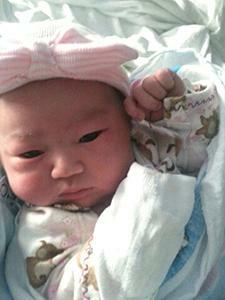 Dr. Don Lee and Yuri Lee of Louisburg are proud to announce the birth of their daughter, Lynn Hee Lee, born Sept. 1, 2014 at WakeMed in Raleigh. She weighed 9 pounds, 3 ounces. The newborn also has two siblings, Jun Hee Lee, age 6, and Dan Hee Lee, 3. Mrs. William T. Dement Jr. of Louisburg and Raymond W. Foster Jr. of New Bern announce the upcoming marriage of their daughter, Loftin Olivia Foster, to Timothy Jared Wrenn of Louisburg. 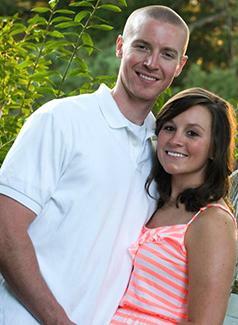 The groom-elect is the son of Mr. and Mrs. Timothy W. Wrenn of Louisburg. An October wedding has been planned. 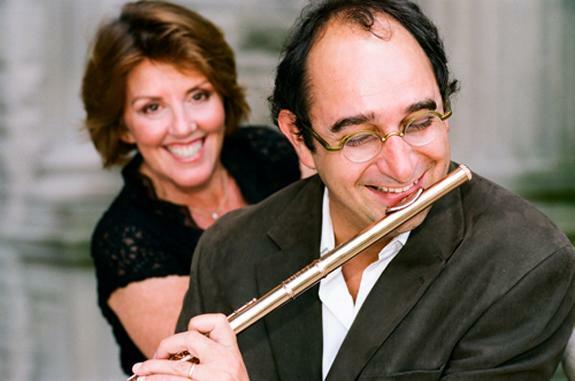 The first concert of the 2014 fall season at Warren County’s historic Cherry Hill will feature a French/American duo including flautist Nicolas Duchamp and pianist Barbara McKenzie. For two decades, Duchamp enjoyed an elite Paris-based orchestral and worldwide teaching career before moving to New York City to become the principal flute of the New York Symphony Orchestra, which later merged with the New York Philharmonic. Jonathan Ehrlich will be joining the staff of Louisburg College in October as its next vice president for finance and chief financial officer, according to college president Mark La Branche. Ehrlich’s hiring concludes an extensive national search to replace retiring current CFO Belinda Faulkner, La Branche said. “I do not believe we could have attracted a more fitting candidate,” said La Branche. Franklin County sheriff’s deputies are looking for suspects involved in a series of vehicle break-ins. The morning of Sept. 7, deputies responded to neighborhoods in the area between N.C. 98 and U.S. 1, bisected by Tarboro Road, to investigate reports of about a dozen vehicle break-ins. According to reports, a radar detector was taken from one vehicle and a laptop computer was taken from another. LOUISBURG — A majority of Franklin County’s schools met or exceeded academic growth targets, and a percentage of students higher than the state average graduated within a 5-year period. School administrators, though, still see room for improvement. “As a district, it is our goal to provide 21st century learning opportunities that will enable our students to succeed in all endeavors,” said Superintendent Lisa Martin. This year’s excursions will return to some of the most popular past destinations. 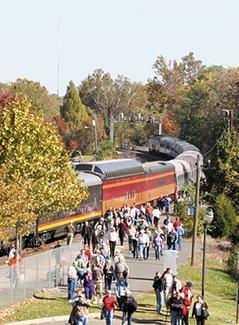 The “Virginia Autumn Special” departs for Charlottesville, Va., Saturday, Nov. 1. 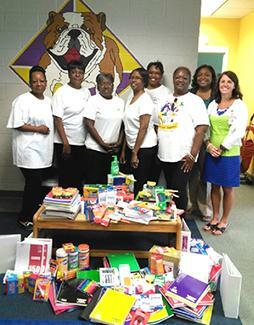 Leading Light Chapter #507 Order of the Eastern Star - P.H.A (Centerville) recently travelled to Laurel Mill Elementary School to make a donation of back to school supplies as part of its ongoing community service efforts in the Centerville community. In a meeting lasting only 20 minutes and including only one significant vote other than personnel issues, the Franklin County Board of Education turned its focus to a myriad of policy questions Monday night. The only vote came when one policy, which involved board meeting news coverage, was tabled for further study after The Franklin Times questioned provisions in that policy involving board meetings held by conference telephone calls. 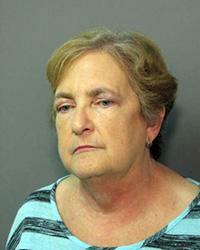 LOUISBURG — Agents with the State Bureau of Investigation and prosecutors with a special focus on white collar crime combined to indict a former Youngsville town administrator and her son, a former department head. 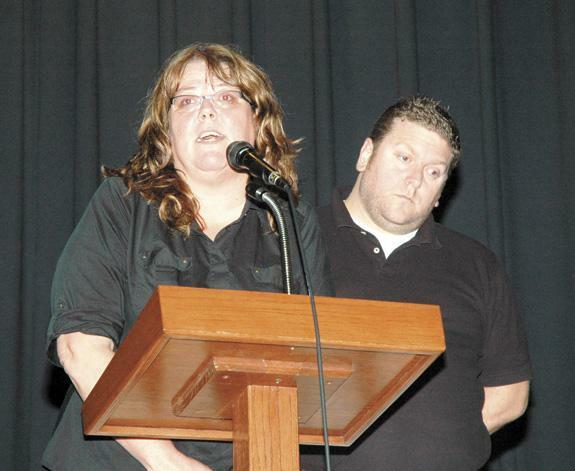 A grand jury returned true bills of indictment against Brenda Robbins and Joseph Patterson II on Aug. 28. Robbins was charged with seven counts of embezzlement by a public official and seven counts of accessing a government computer to defraud — both felonies.